a couple of weeks of being really, really sick. and getting back to painting slowly. researching The Masters, always something new. I know this is a bit long but is so interesting. Pigeons, or doves, have always been in Picasso’s life, and Picasso knew their habits and character like no one else. His father, Jose Ruiz Blasco, was an art teacher, and very often he painted doves. To attach his son to painting, he asked his son to draw pigeons’ feet. 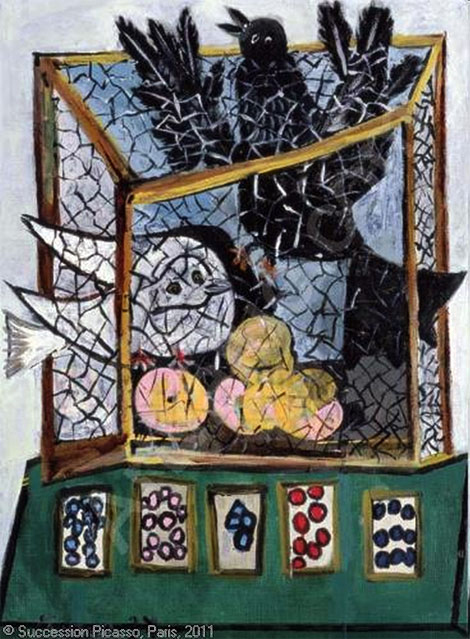 Later, Picasso even kept a dovecote. But Picasso knew that pigeons and doves are rather cruel and capricious birds. So why it was Picasso who became the author of the most famous symbol of peace – “Dove of Peace”? Picasso’s father, José Ruiz Blasco, was an art teacher and a passionate lover of birds. He held a pigeonry and specialized in painting of realistic images of birds. When Pablo learned to handle the brush, his father allowed him to draw the bird’s feet. 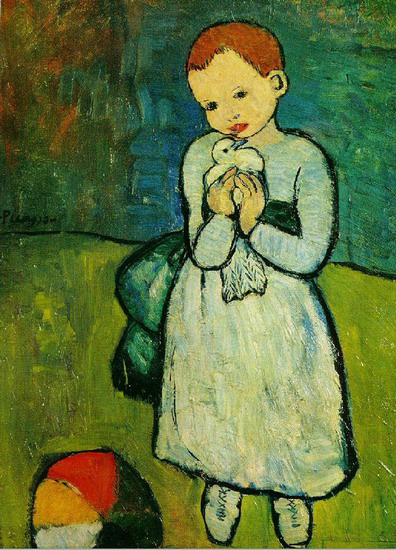 His canvas “Child with a Dove“, which he painted in 1901, was most likely connected with his experiences in childhood, and to some extent, we can imagine that this child is little Pablo. 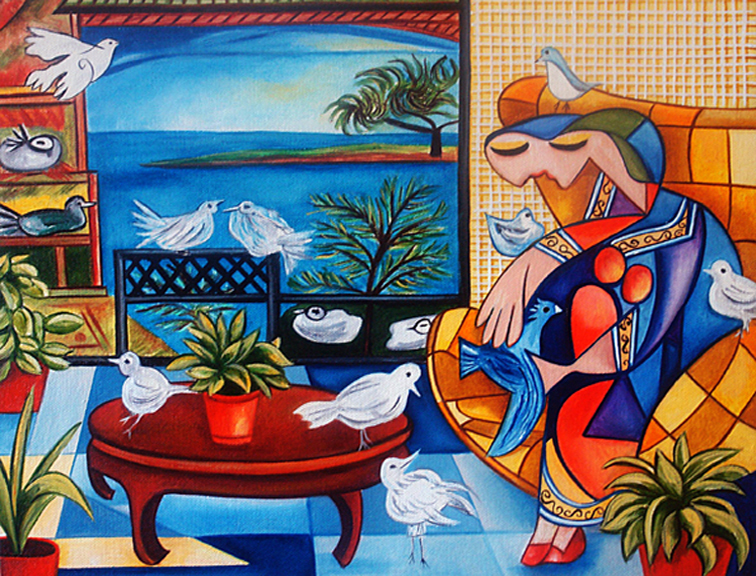 Later, Picasso used to paint pictures where doves and pigeons had a central place. For example, in 1937, he finished his work “Birds in a cage”. It is believed that the painting depicts the historical battle of the two of his lovers in his studio in Paris. The white Dove in the painting is Marie-Therese Walter, and the black one, respectively – Dora Maar. Picasso saw in the dove a strong, cruel and capricious bird despite its apparent fragility and vulnerability. In 1949, Louis Aragon, a French poet and a member of the Communist Party, visited Picasso. He was looking for a picture for posters commemorating the Peace Conference in Paris. He liked the Picasso’s lithograph depicting a dove. 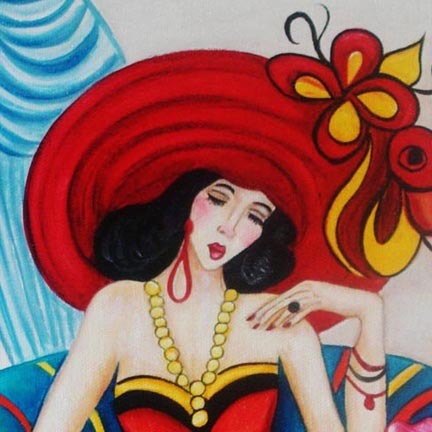 The lithograph was very beautiful, it was all a play of colors and shades of white and gray. Besides, it was a Milano dove that was portrayed on the lithograph, presented to Picasso by Henri Matisse. Unlike ordinary pigeons, the feet of the Milano dove were completely covered with feathers, which looked very beautiful and unusual. So it was that dove that Aragon decided to make a symbol of peace. Many will think over, why it was the dove, not a swan or a lark? In fact, the image of a dove has been taken by us as a symbol of hope. Dove appears in myths of the Ancient Rome when doves of the love goddess Venus nested in the helmet of Mars, the Roman god of war. And the god of war, not to destroy their nest, abandoned another bloody idea. 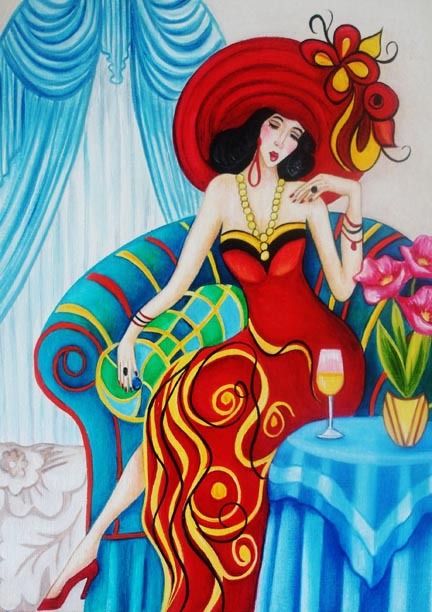 The pigeon is very strongly associated with Christianity, as it was he who brought the olive branch to the Noah’s ship in a sign that the flood was over and the God was in peace with people. In addition, Dove – became a symbol of the Holy Spirit.It was formally adopted by the Church Fathers at the Council of Constantinople in 536. According to one legend, two doves flew to the church where the Cardinal was elected as new Pope and sat down on his shoulders. Since then Popes are often portrayed with two doves on their shoulders. In Islam the dove is very honored, too, because he helped Mohammed to escape from his pursuers. The opening of the Congress coincided with the birth of the second Picasso’s daughter from Francoise Gilot. Picasso didn’t think much about how to name a girl - his daughter was named Paloma, which stands for dove in Spanish. After Picasso’s dove was chosen as the emblem of the Congress, it became a symbol of the peace movement. The artist later made some more drawings of his famous dove of peace. From a realistic classical picture the dove was later developed by the artist in a simple line drawing graphically understood by all, regardless of religion and culture.